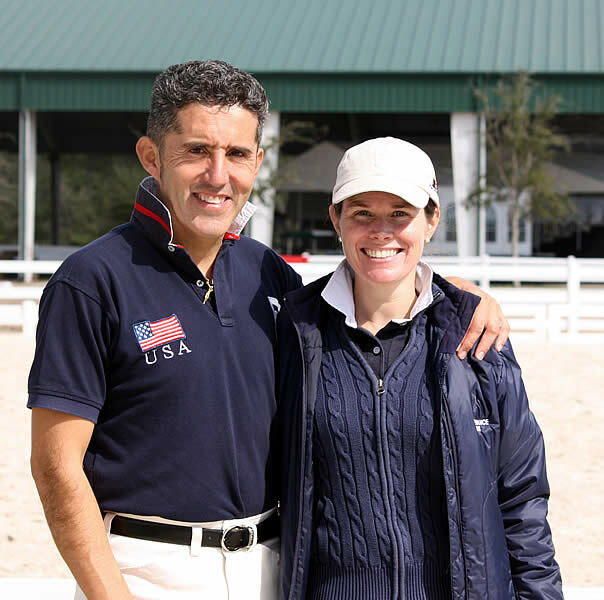 Wellington, FL (February 1, 2013) – Dr. Cesar Parra of Piaffe-Performance Farms is known for his dedication to the sport of dressage and the equine industry, and during the 2013 Global Dressage Festival he will continuing this tradition by sponsoring the Adult Amateur High Performance award. Designed to recognize exceptional performances by adult amateurs during the circuit, he award will be given each week of the festival, which will have two shows each month in January and February and three each month in March and April. Five of the shows will have international recognition by the Federation Equestre Internationale (FEI) and seven will also be U.S. national-level shows. Parra was an international rider in Colombia before becoming a US citizen in 2008. Since then he has represented the U.S. at the Pan American Games gold medal-winning dressage team in 2011. Piaffe-Performance Farms is based in Jupiter, FL, from December to March and Whitehouse Station, NJ, from April through November.